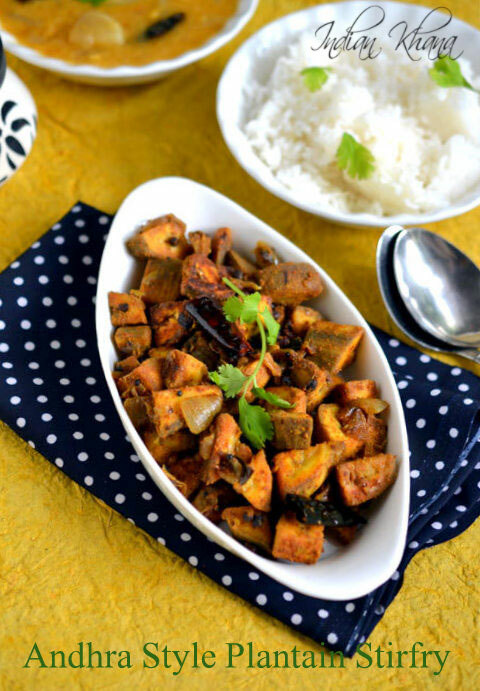 There are few versions of Aratikaya Vepudu and almost everyone does use onion, ginger-garlic paste while other spices are used according to everyone's household rules and procedure. 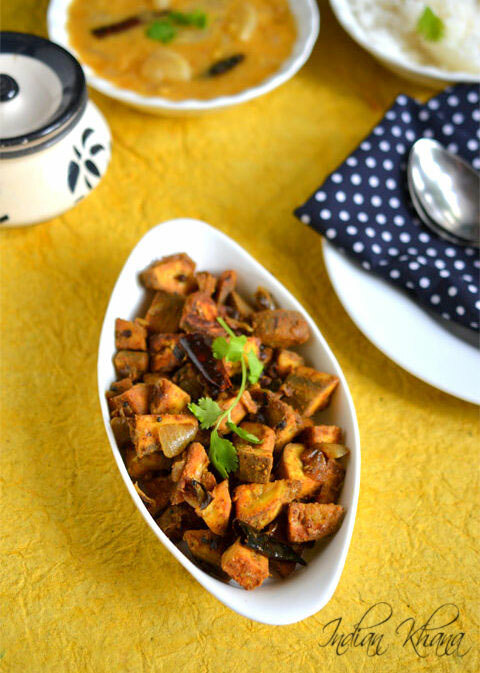 The below recipe is very easy and everything you can find in your pantry to make this deicious Andhra style plantain fry. Now a days I am always having plantain in my fridge, the stock never gets over. Normally I make the varual or simple stir fry, some time I do kofta or tikkis for evening snack and other one I am doing is mixing lot of vegetables and making it in curry form this I am doing every week now, not able to click final pictures of this mix vegetable with plantain curry it's really delicious shall try my best to take some pictures and share you all the lovely recipe too. 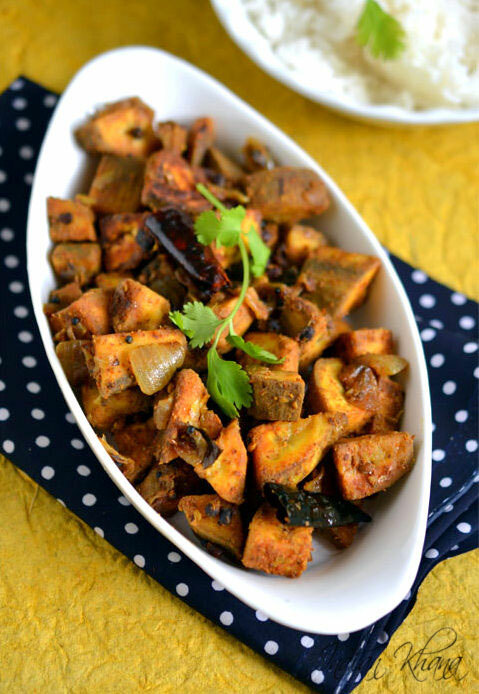 I made this Aratikaya Vepudu or Balekai Palya on a weekend for simple lunch along with Raddish (mooli) dal, I am going to post the mooli dal recipe next or real soon the combination is very good, you can also try this stir fry with sambar, rasam or simple dal tadka along with steamed rice. 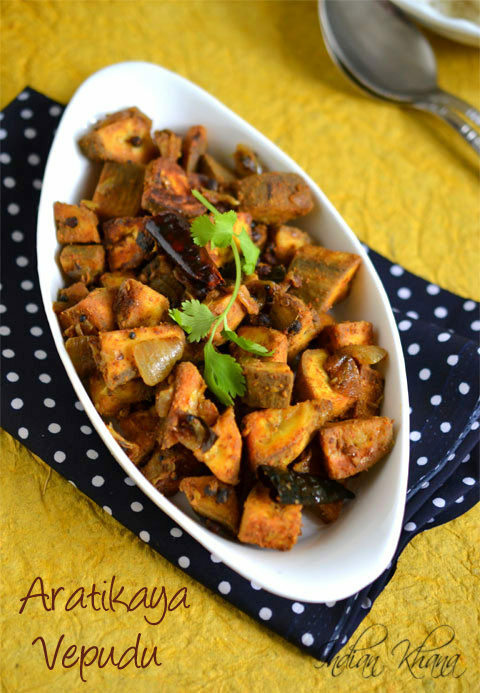 Plantain Stir fry in Andhra Style with spices, onion and ginger-garlic paste. 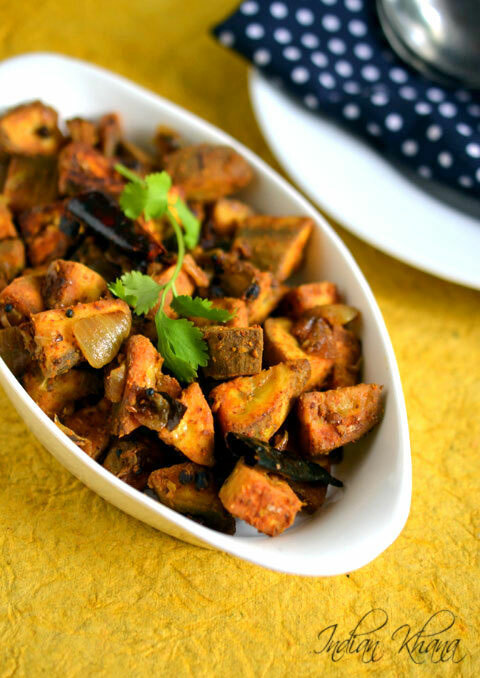 Peel and chop plantain (raw banana) in bite size pieces, immerse in water until all the plantain we cut, drain water and mix chili powder, coriander powder, turmeric powder, cumin powder, salt, ginger garlic paste, 2-3 tbsp water with plantain, keep aside for 10 mins or until required. Meanwihile peel and slice onion. Heat oil in a pan or wok add the mustard seeds, allow to splutter. Add methi seeds, curry leaves, urad dal dry chilies and toss. Add the onions and saute until onion becomes light brown. Add the plantain pieces mix well, cover and cook in medium to slow flame until plantain gets cooked, stir in interval to avoid burning. Off flame and keep aside for 10 mins before serving. Serve hot or warm with dal/rasam/sambar and rice. You can also add 2 tbsp of fresh grated coconut while marinating plantain. You can add 1/4 tsp of nutmeg powder and cinnamon powder too. 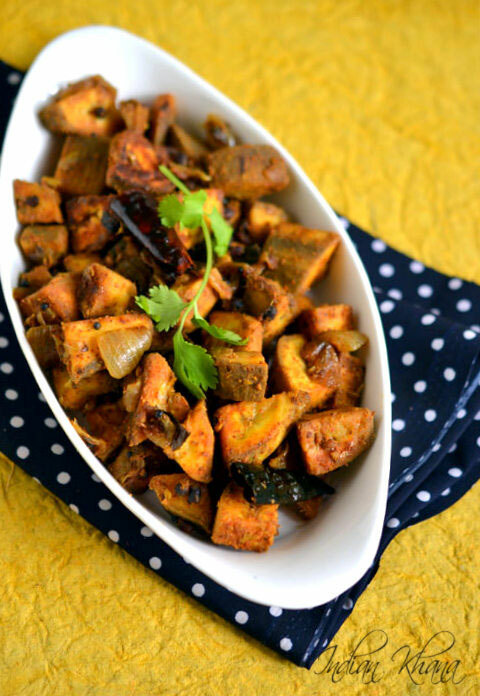 Enjoy simple, easy Andhra style plantain fry.